By joining TEAM RESTART and giving a monthly donation you help us continue to care for aged unadoptable horses like 33 year old Yeah Me Do as well as the daily care and retraining of the horses donated to our program to be placed in forever homes. 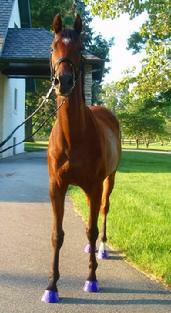 Yeah Me Do is one of the oldest living thoroughbreds in North America and is fat, happy, and healthy. 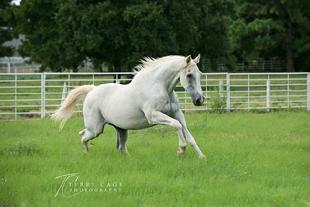 He is a perfect example of what good care and an appropriate feeding program can do for senior horses. Unlike many rehoming programs Remember Me Rescue spends many quality hours retaining each horse to give him the best chance to always have a good home and to be a part of a family. Many of our horses have gone on to be police mounts, do search and rescue, and be awesome trail horses because of the thorough retraining they receive at RMR. Thoroughbreds have long been thought to only be good for jumping or dressage when their career at the track is over. Not so, they make wonder companions, playday horses, and even make good cow ponies. 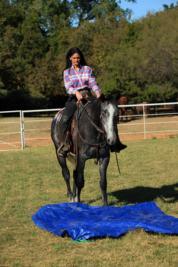 They can be taught to handle and rein with the best of them. 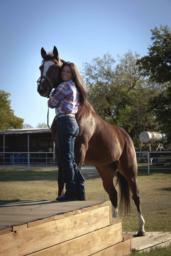 Don't let anyone tell you that a horse that has raced is crazy, they couldn't be more wrong.... and we will prove it! You can help us help others like Be Bop Baby who was found starving at a farm in Many, Louisiana in January, 2012. She is now fat and healthy because of the financial support we receive from people like you. By supporting Remember Me Rescue at the $10 a month level you are helping us buy 1 bag of feed, approximately enough feed to feed a healthy horse for 4 days. By supporting us at the $25 a month level you are paying for 5 bags of bedding for the stalls. By supporting us at the $100 a month level you are providing enough feed, hay, and bedding for approximately one week for a horse in our care. As you can see it is very expensive to care for these horses. 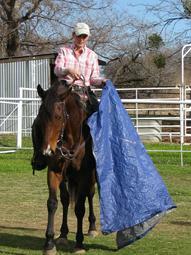 We do not include labor or training fees as most are either done by volunteers or by Dallas or Donna Keen personally. Keen Farms covers many of the expenses such as repairs and farm maintenance but the daily cost of the actual care, feeding, veterinarian, and farrier fees fall on our support team to keep our program going. We appreciate everyone who gives from their heart and we promise to do whatever is necessary to not let these horses down. 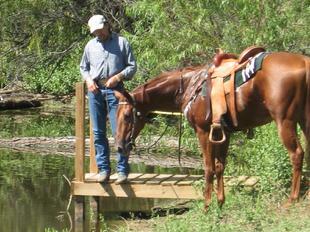 We need your help to change the lives of retired racehorses. When a horse leaves the RMR program our goal is to give him the tools he will need to be useful for the rest of his life. He needs good manners, solid basic training, and the trust between human and horse that comes from our gentle retraining techniques. 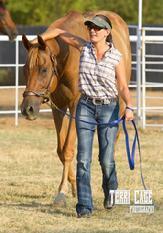 The founders of Remember Me Rescue, Dallas and Donna Keen, are thoroughbred racehorse trainers. Because of their understanding of what makes a racehorse do what he does, the Keens have a special insight to 'undo' certain patterns that are formed when a horse is in race training. Their understanding of the thoroughbred racehorse mind helps start these athletes on the right path and direct them to new owners that will suit their needs and potential for greatness. Help us continue to help horses like Spanky, (Make Me Laugh). He is now living in Midway, Kentucky with his new mom, Elizabeth. He is a long way from the Many, LA farm we found him starving on now.